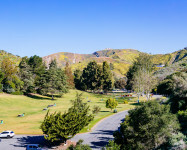 Ventura County provides many recreational opportunities in a beautiful natural setting of coastal plain that includes the Santa Clara River estuary, forest-canopied mountains and interior valleys. 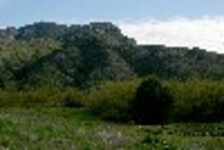 Elevation varies from sea level to 8,831 feet at the summit of Mt. Pinos. 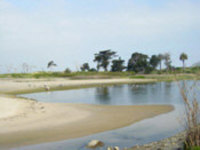 Mugu Lagoon and the Los Padres National Forest are globally important bird areas. 457 bird species have been recorded in the county includin g a Xantus’s Hummingbird. Channel Islands trips can be scheduled through Island Packers. The Channel Islands National Park is recognized as an important breeding and resting area for a variety of seabirds. Enjoy reading about bird watching in the Channel Island Hopping Blog. Channel Islands offer a wild brand of birds, including Golden Eagle, Snowy Plover, Island Scrub-Jay and Bald Eagle. 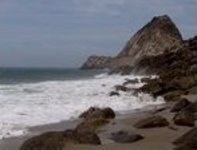 Channel Islands National Park is recognized as an important breeding and resting area for a variety of seabirds. The rich marine food sources and isolated islands support numerous colonies of seabirds. Indeed, the park’s colonies and the surrounding waters that are used for foraging are vital for the survival of several seabird species. Although the mainland may provide roosting areas, in many cases seabirds depend on the islands for breeding and nesting success. Collectively, the islands constitute a major seabird breeding area in the eastern north Pacific, the largest such area in the United States south of the Farallon Islands. 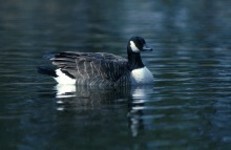 For example, half of the world’s population of ashy storm-petrels and western gulls, 80% of the U.S. breeding population of Xantus’s murrelets (33.5% of the world’s population and the only breeding ground north of Mexico), and the only major breeding population of California brown pelicans in the western U.S. occur in the park. 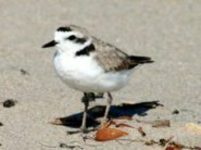 Landbird populations and species compositions on the islands can change from year to year, depending on mainland species that reach the islands, changes in habitats, competitors or predators that arrive or leave the islands, or areas that are disturbed by people. Most of the bird species probably have experienced a loss of preferred food and shelter due to the alteration of the islands’ scrub habitats. Nine raptor species live in the park and are primarily seen on Santa Cruz and Santa Rosa. Hawks and owls also occur intermittently on Anacapa, San Miguel, and Santa Barbara, which have limited habitat to support these birds. Several bird species disappeared from the park during the 20th century. An endemic subspecies of song sparrow (Melospiza melodia graminea) on Santa Barbara was driven to extinction due to habitat destruction by introduced rabbits, direct predation by feral cats, and a fire in 1959 that destroyed much of its habitat. Both bald eagles (Haliaeetus leucocephalus) and peregrine falcons (Falco peregrinus anatum) also formerly bred on the islands, but largely disappeared due to harassment, shooting, egg stealing, and reproductive failure caused by organochlorine pesticides, such as DDT. However, both of these species are making a comeback due to reintroduction efforts. Peregrines were reintroduced on the islands in the 1980s, and there are now about 10 active peregrine falcon nests in the park. A study to determine the feasibility of reintroducing bald eagles began on Santa Cruz Island in summer 2002. Twelve eagles will be released annually on the island during a five-year period. 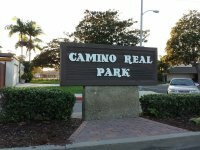 To arrange a walk for your group, please contact the City of Ventura Interpretive Outreach Programs at 805-677-3961. 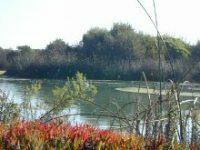 Ocean’s Edge Walk – Explore coastal dunes and wetlands as you learn about plant survival techniques. River Walk – Enjoy stories and hands-on exploration as you walk approximately 2/3 mile along a streamside habitat that is home to an abundance of wildlife. 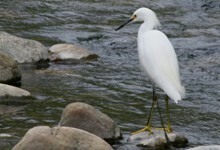 Lagoon Bird Walk – Visit secluded lagoon teeming with life, located near the Santa Clara River estuary. Please make your requests at least three weeks in advance of desired date. Field trips are regularly offered by two Audubon chapters that sponsor two Christmas counts. Hwy 1 (PCH) south past Naval Air Weapons Station and Pt. Mugu Lagoon and Rock. 4126 1/2 W Portrero Rd. Corner of Main & Olive St.
For further information or to purchase a print find Denise Dewire here.